Picture perfect day for great dirt track racing!!! Sunshine and 80 degrees for a high. It’s been a few weeks, so we are all excited to see some cars on the track. 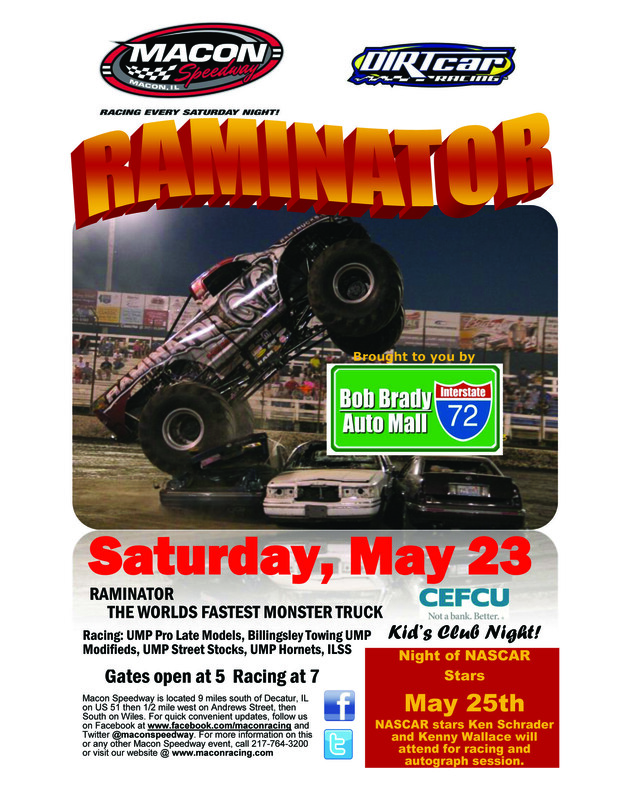 Tonight is Bob Brady Auto Mall Raminator night. Bring the kids for some car crushing excitement, autographs, and hot racing at 7:00. CEFCU Kid’s Club night #2 will also be held. UMP Pro Late Models, Billingsley Towing UMP Modifieds, UMP Street Stocks, UMP Hornets, & the Illinois Lightning Sprint Series​.